Read the full story below or on the SB Nation website. Andrew Whitworth got a win on the field in Week 10 when Los Angeles held off a spirited comeback from the Seattle Seahawks. 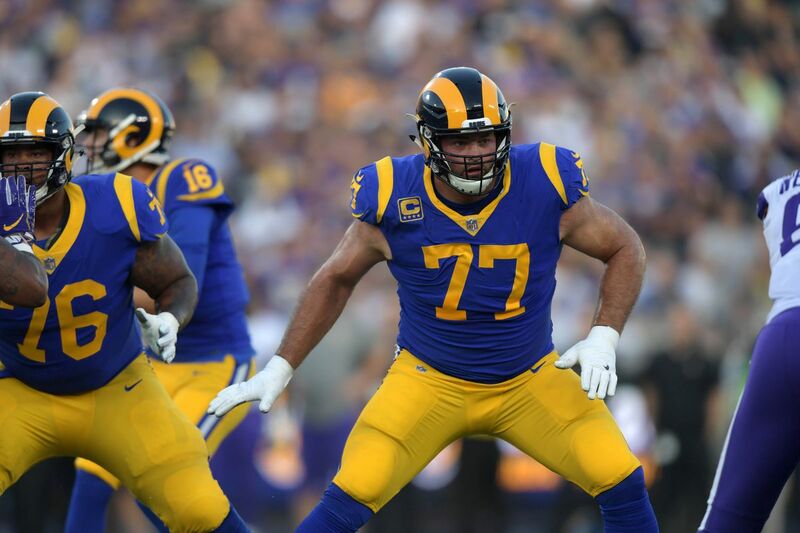 The Rams’ left tackle was part of a unit that allowed quarterback Jared Goff to be sacked only twice, but his greatest contribution came once the game was over. The veteran offensive lineman donated his entire game check to the Ventura County Community Foundation’s Conejo Valley Victims Fund. His donation — slightly more than $539,656 based on his 2018 cap hit of $9,174,166 — will go to the families of the 12 victims who lost their lives in a Nov. 10 shooting at the Borderline Bar and Grill in Thousand Oaks, California. The Borderline is 45 miles from the Los Angeles Coliseum, but only a five-minute drive from the Rams’ practice facility. It was a move Whitworth had in the works since the hours immediately following the tragedy. The Rams are using Week 10’s game as a catalyst for philanthropic efforts to help Californians throughout the state. On Sunday, the club announced it would auction off several game-worn jerseys from the victory over the Seahawks and donate the proceeds to victims of the shooting as well as to the families displaced by the wildfires tearing through the state this week. Though Sunday’s game had only wrapped up an hour earlier, the five jerseys on the auction block — including Whitworth’s — were already set to bring in more than $7,500 for the Victims Fund and the Red Cross. The team also donated the proceeds from its 50/50 raffle to both causes. If you’d like to add to that total but can’t afford to drop $500+ on a game-worn jersey, there are several other ways you can help. You can donate to the Ventura County Community Foundation here. You can learn more about the Red Cross, long a trusted resource for rebuilding families along a wide spectrum of disasters, and its efforts to help victims to wildfires here. And if you’d like to help the Los Angeles Fire Department directly, go to supportLAFD.org.